Xenics now offers their popular Gobi thermal camera with an industry-standard GigE Vision interface and is based on a fully transformed platform. 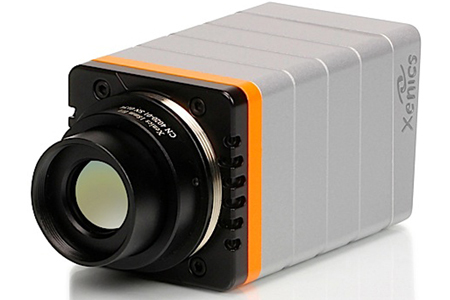 The Gobi-640-GigE combines the advantages of a high quality infrared camera with the power of a GigE interface to allow for fast data transfer of HD thermal images. This combination makes it ideal for instant, accurate and cost-effective evaluation of your thermal imaging and guarantees to be the most versatile R&D tool on the market. The 640 x 480 uncooled microbolometer array features a small pixel pitch of only 17 µm and detects temperature differences as small as 0.05 ºC. All camera functions can be optimized according to user applications context.